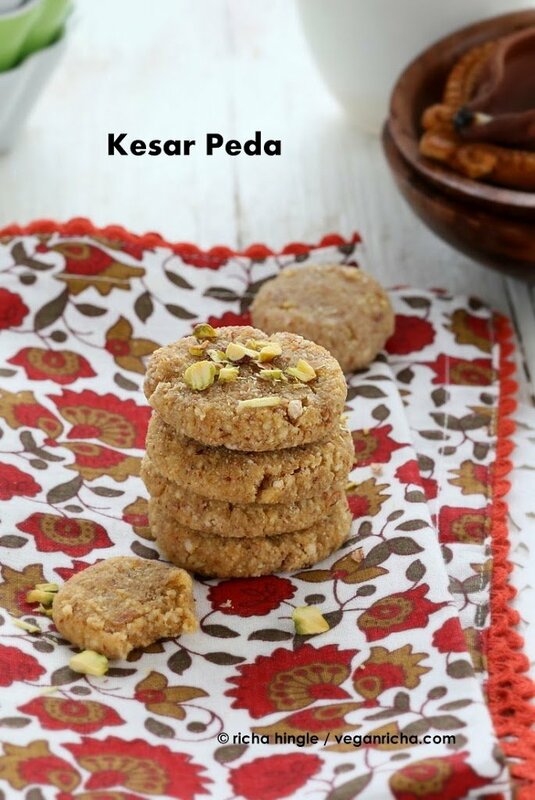 Kesar Peda is fudge type cookie made with milk solids. 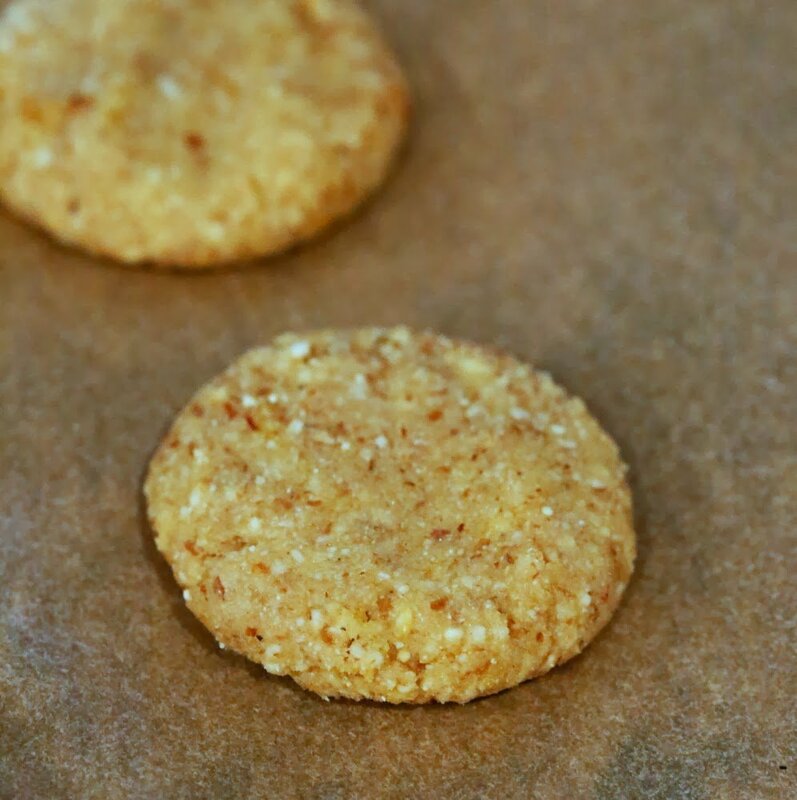 This recipe is dairy-free and uses almonds for this Saffron infused Almond cookie. Vegan Gluten-free Recipe. Easily doubled. You would think that holidays, festivals and events would probably hit the Snooze button for a few months. But that ain’t the case. There are quite a few Indian festivals and they are quite nicely spread over the year. Some are celebrated more fervently that the others, but they all have a set of sweets, savories and dishes associated with them. The food also depends on the region or state and I have not touched so many cuisines from so many regions in India, at all on the blog! Every few weeks I try to vegan-ize Indian sweets and desserts and other dairy intense recipes which do not have a straight forward substitute or a close alternative. This past week, I had an idea about a certain texture and taste and decided to make Pedas. Pedas / Mathura Phedas are flat discs that are soft, have a good lot of sugar and some flavorings like cardamom, saffron, rose, pistachio etc and the other(or the only) main ingredient is Khoa (milk solids). I don’t know why so many Indian sweets use milk solids. Imagine the amount of cow’s milk needed to make the solids by cooking the milk till most of the moisture evaporates ( 5 cups or 1.2 liter or 33 oz or 2.2 lbs of whole milk, gives just 200 gms or 0.4 lbs of Khoa, which is almost 6:1 ratio). And now imagine all the milk being taken away from the babies somewhere, who are very hungry and eventually are killed, just so we can eat a few of these sweets. Now, we don’t need to anymore. These pedas might not be exactly like how you remember but they are close, very close and very delicious! Pedas are a very sugary milk fudge kind of dessert. so the vegan version is also sweet and fudgy. Adjust sweet in the recipe to preference. Believe you me. 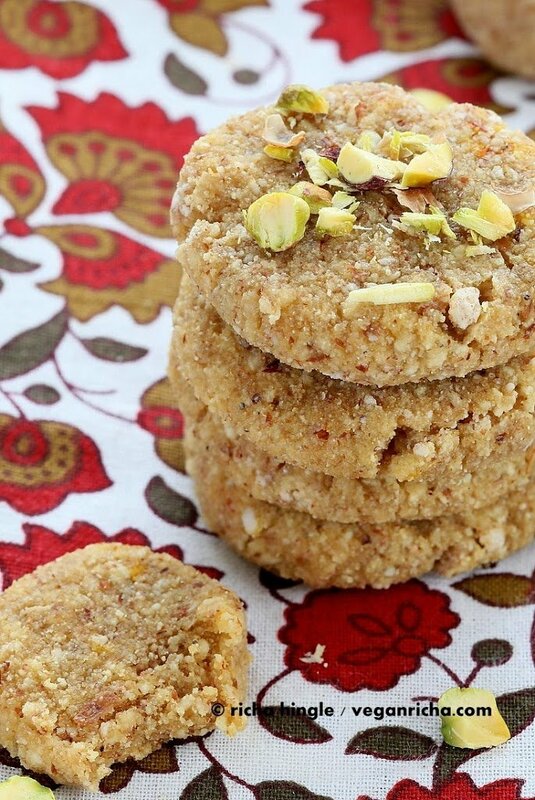 you want to make these pedas to celebrate Lohri and Sankranti. Next in line maybe Kalakand! You can also find a load of vegan Indian Sweets in my Indian Sweets Ebook, which you can buy here. I am trying to change it up to display better on kindle and offer it on Amazon, and having a lot of trouble with the formats. If anyone knows the easiest format to make an ebook in, which works out the best for all Kindles and their different aspect ratios, please do let me know. 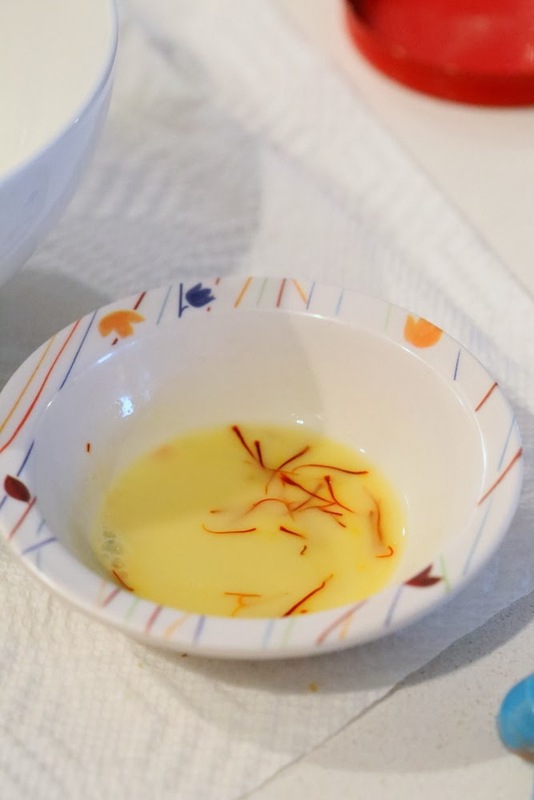 Soak the saffron in warm almond milk. Grind the almonds. Add to bowl. Add coconut flour, sugar, cardamom, salt and mix well. Add almond milk, maple syrup and mix into a soft dough. Shape into discs and bake for 10 minutes. Heat the almond milk. Mix the saffron strands in it and let sit for 5 minutes. 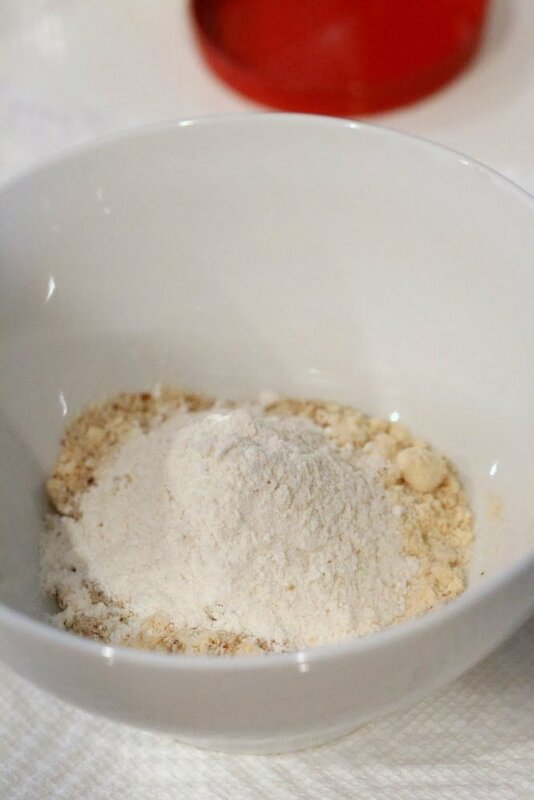 In a bowl, mix the almond flour, coconut flour, sugar, salt and cardamom powder. Add the saffron almond milk and maple syrup (or jaggery/sugar/date syrup) and mix well to make a soft dough. Make flat discs of the dough and serve as is, or bake at 300 degrees F / 150ºc for 9-10 minutes. (the pedas will expand a bit while baking). Cool completely before serving or storing. Store in the refrigerator in airtight container for upto a week. the baked pedas are fudgy and more like the real pedas. They taste best chilled. You can make your own coconut flour with coconut flakes like here. To grind the almonds into as fine as possible, add a Tablespoon of oats and a Tablespoon of starch(corn or arrowroot) in the blender and blend. 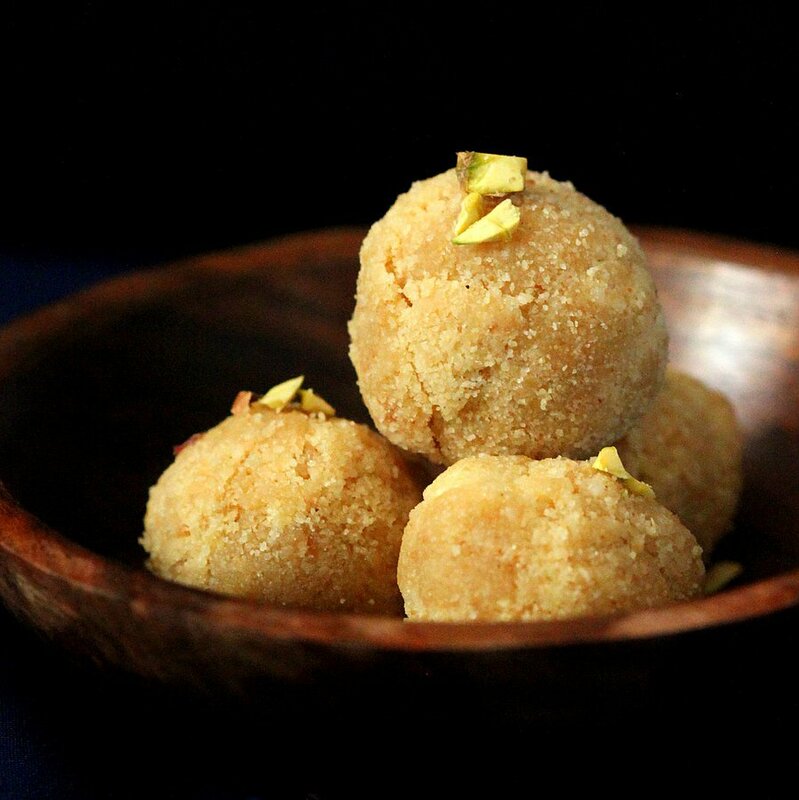 Coconut Rava Laddoo – Sweet balls of coconut flakes and semolina. 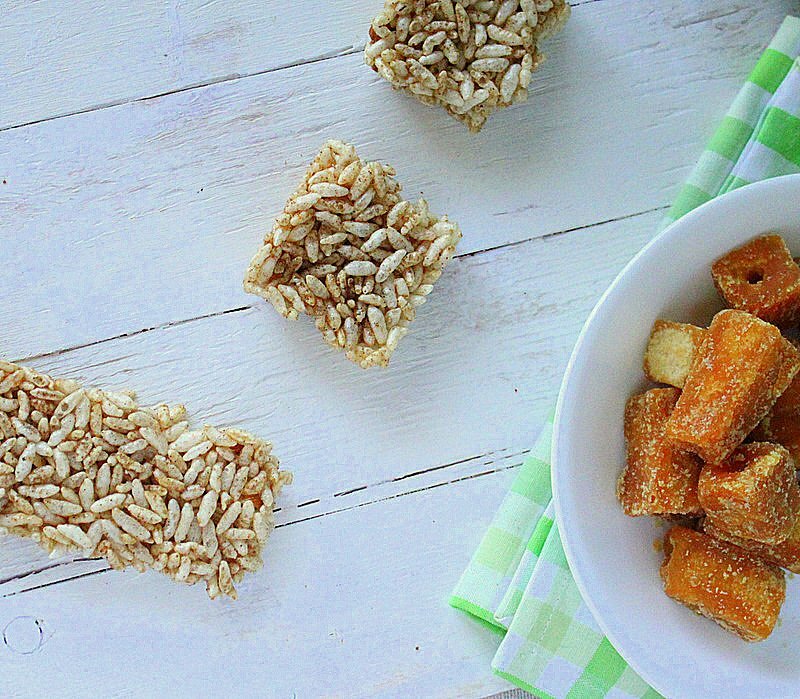 This puffed grain and jaggery snack. 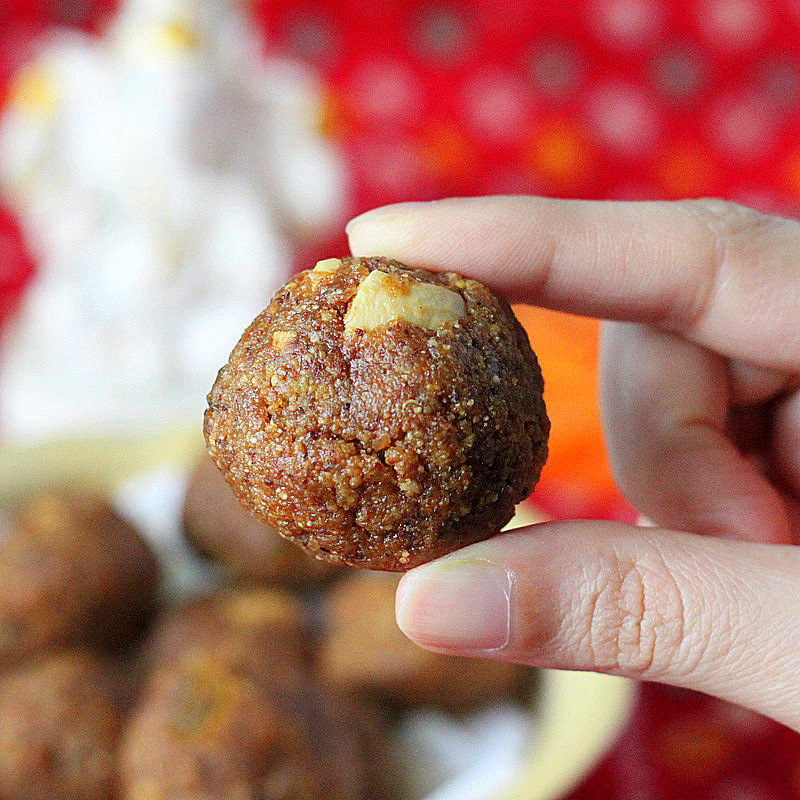 A laddoo ball or bars with puffed grains, sesame seeds, nuts kept together with Jaggery(unrefined sugar) syrup is a favorite sweet and snack in several parts of India. 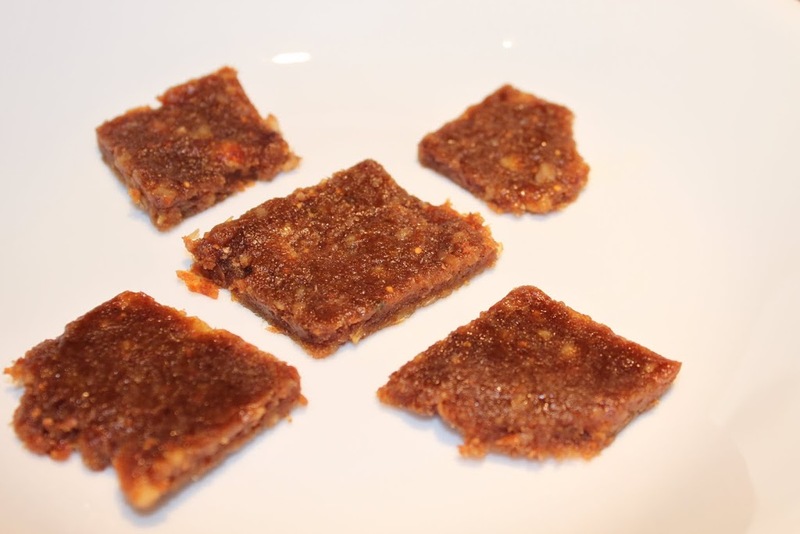 One of the versions has only sesame seeds and jaggery syrup like a chewy sesame brittle. This Tilgud (sesame jaggery) is distributed among friends and family with the saying “Tilgul ghya, god god bola” that means “Take a tilgul and talk sweet as it”. The under-lying thought in the exchange of tilguds is to forget the past ill-feelings and hostilities and resolve to speak sweetly and remain friends. 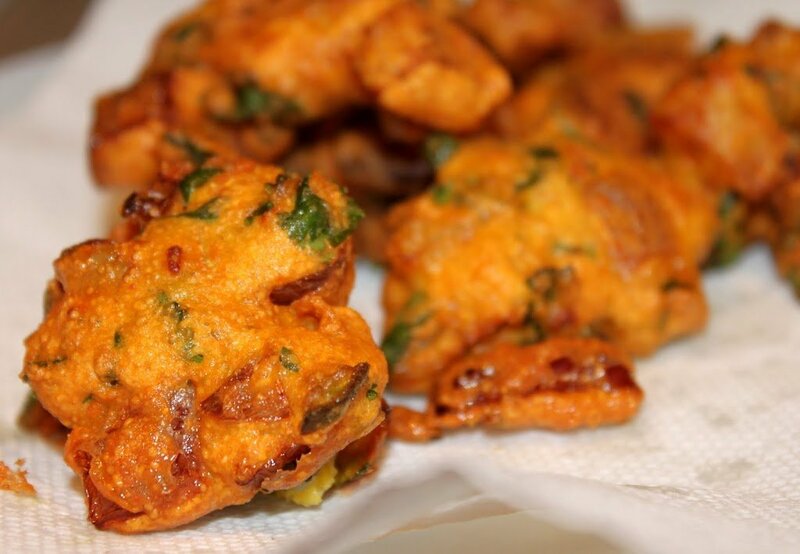 Kanda Bhaji – Onion Fritters. or make these Baked broocoli fritters. 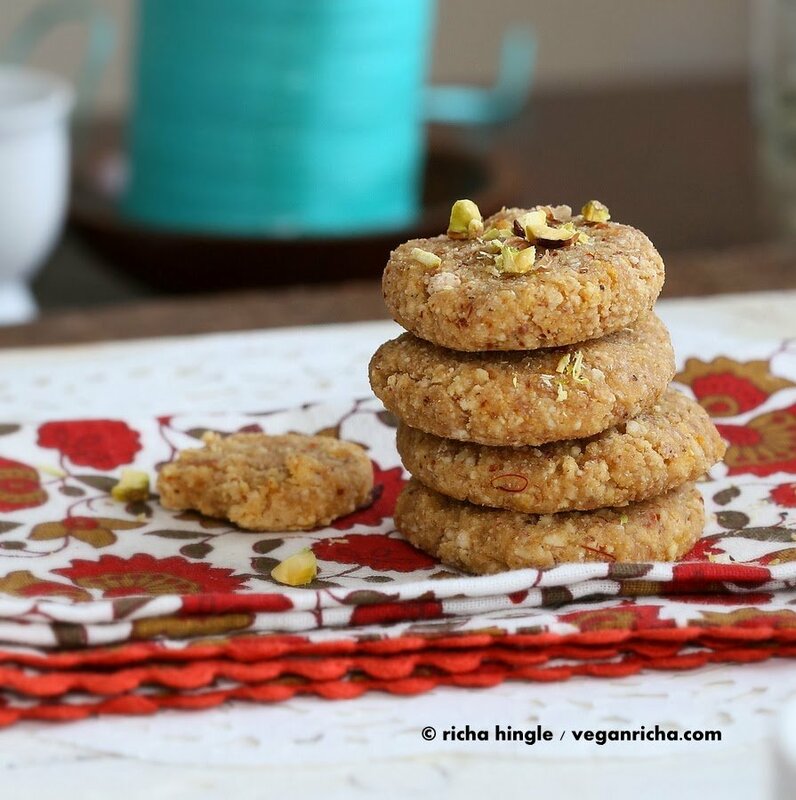 Besan Quinoa Laddoo – Sweet Chickpea flour balls with cashews and raisins. Happy Sankranti / Lohri / Pongal to all who are celebrating! This Peda is being shared at Allergy Free Wednesdays and Ricki’s wellness weekend. [email protected]; I would love to have your recipe book! I use this site quit often for healthy vegan recipes. Keep up the good work! Very much enjoy your blogs, and enjoyed creating some of the sweets in the Diwali Sweets e-book. Thanks so much for sharing your creative efforts so beautifully! I am christine.mckenna at gmail dot com. thanks Richa for all the effort you make to share your recipes! If not too late, I would like to win the ebook 🙂 my name is Coloma, I will send details if I win! OMG~ I’ve found cooking Nirvana!!! 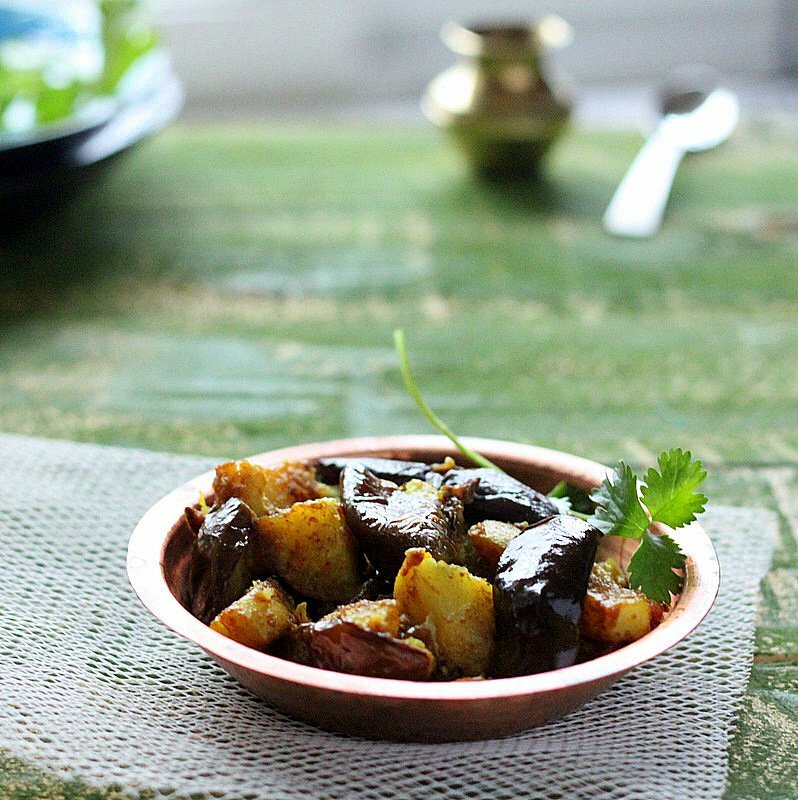 I LOVE Indian cooking~ Richa is a gourmet, smart, eco and health conscious AND has delicious recipes what more incentive can a person want to take the leap to appreciating a new cuisine and all it has to offer—THANk YOU. THIS is amazing. NAMASTE! Loving Greetings~ I loved your blog so much, I looked up major South Asia Holiday to find out more. I can’t wait to make your Pedas and learn more about India and it’s culture and cuisine. May your life be blessed with love. May your life be blessed with lakshmi. May your life be blessed with happiness. HAPPY MAKAR SANKRANTI! Oh darn, I missed out on the giveaway! At least I have these delicious cookies as a consolation prize… The flavors sound incredible, exotic and delicate, and like nothing else I’ve ever tasted. You are such a kitchen genius! hooray for another gf indian treat! these sound superb and look delicious. i’ve been looking for cookies made with almond flour. this sounds great! I cut the sugar in half and served these for breakfast this morning. Delicious! Should sugar syrup be of 1 thread consistency? yes anywhere from 0.5 to 1 thread consistency will work. I recently tried this wonderful recipe and served as a prasad for Hanuman Jayanti. I was missing eating pedhas since I started following vegan diet. Both, my husband and I loved it. Initially I was skeptical if it will have too much almod taste, but I was wrong. It totally mimicked khoya taste. I skipped coconut flour. I tried both baked and unbaked. I could feel the taste of raw flour in unbaked version and thus prefer baked version. My mom suggested to dry roast flours for unbaked version, may try it next time. Recently I served these pedhas for Hanuman Jayanti. They were delicious without any time consuming work of boiling milk. I was craving for vegan pedhas since I started following vegan diet. I was skeptical if this would have lot of almond taste, however it completely mimicked khoya taste. Both me and my husband loved it. We definitely prefer baked version. For unbaked, my mom suggested me to dry roast flour before kneading the dough. I may try that. I skipped coconut flour. exactly right. it works perfectly after baking. the heat helps infuse the flavors and sugar.. I like the idea of pre-roasting the flour. let me know how it turns out. 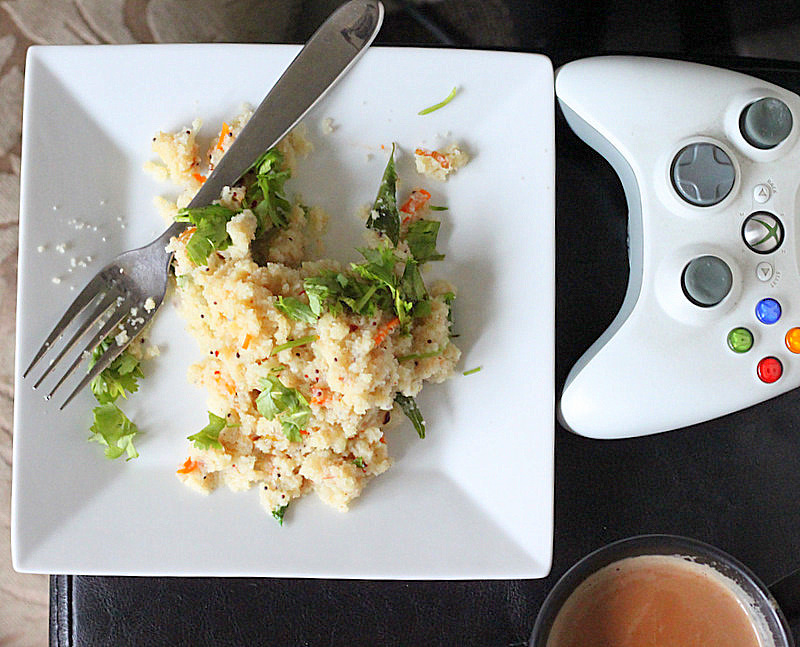 Richa – i can’t wait to try this. But, your recipe calls for non-dairy milk. but, would it turn out bad if I did use regular milk? please help.. will be making batches to gift away for Diwali this year! Lets try to lift this out from 1 star rating. Voting it 5 stars, at least bloody appreciate if someone takes the time to post a VEGAN peda, and not downvote this thing. I make these every Diwali. Always a hit! 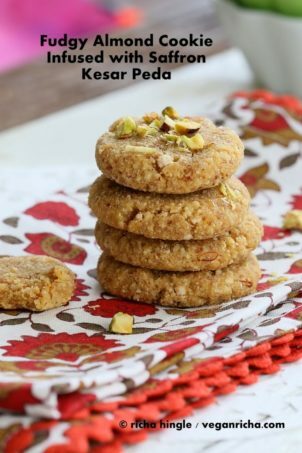 Will be great to incorporate this idea of making Almond Kesar Peda for our vegan customers.